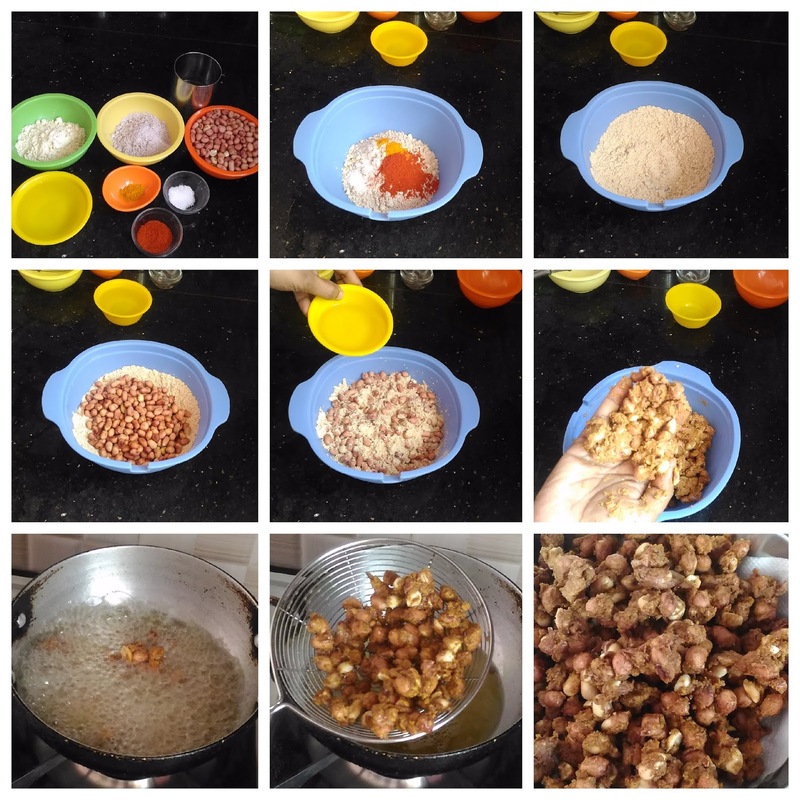 Masala Kadalai is a very popular and healthy snack liked by one and all – from kids to elders. 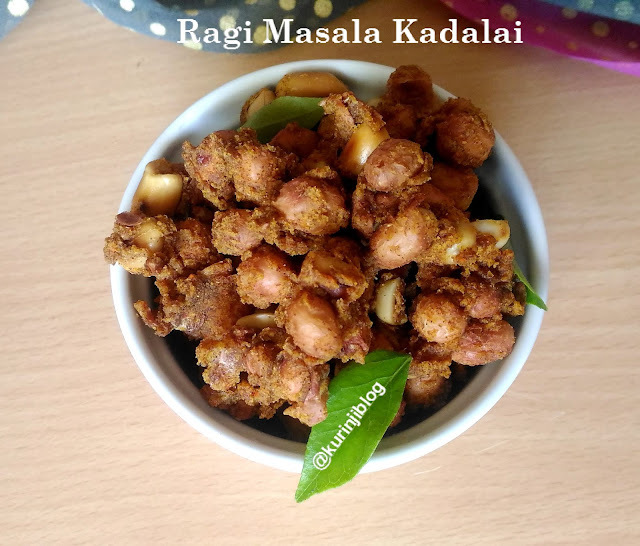 I thought of making a millet twist to this snack and have come up with the ragi kara kadalai recipe. It came out really well and all those to tasted it liked this as much as the normal masala kadalai. Click HERE for more SNACKS Recipe. 1. Add ragi flour, besan flour, red chilli powder, turmeric powder and salt together in a wide bowl. Mix them well.